Kate has taught yoga through the life cycle including prenatal yoga, Mom and Baby yoga, as well as yoga for kids, teens and adults. Currently, Kate has been focusing on Yoga for Osteoporosis. Kate is certified in Yoga for Osteoporosis, developed by Loren Fishman and Ellen Saltonstall. Read their interview. Yoga is about being present in one’s body and doing so in a curious, appreciative, kind way. So often in our culture we have been conditioned to find fault with ourselves, perhaps the appearance of our bodies, or the way they work. Just as with Mindfulness we are practicing to remember that there is more right with our bodies than wrong. No matter what, as long as we are alive we have an opportunity to be with and learn from our bodies. We may find that unless the body is hurting or we feel ill we don’t notice our body. For example our feet carry us around wherever we wish to go, without thinking about our feet. Then when they hurt we notice them. Practicing yoga gives us an opportunity to pay attention to different parts of our body in motion and see where we might send care and look for release and opening. 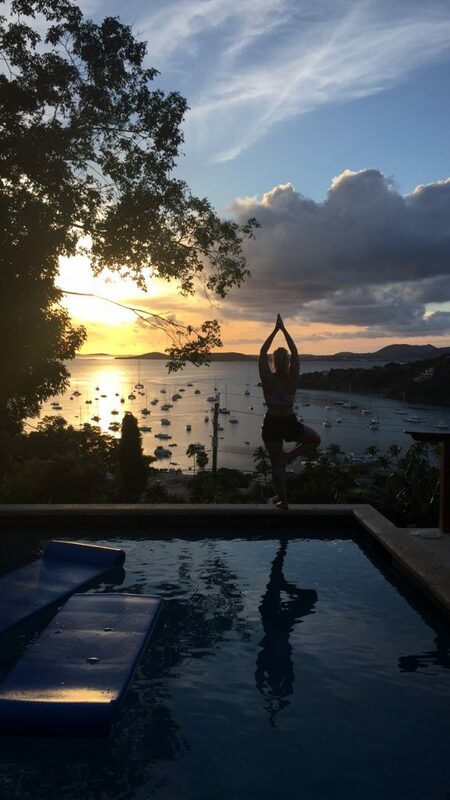 The type of yoga Kate teaches is based on Mindfulness and grounded in the Anusara style of practice. Anusara is flowing with grace and pays attention to alignment and that helps to keep the practitioner safe. Kate’s approach celebrates life and lends some humor and levity along with a committed practice. VIEW KATE’S STANDING YOGA PRACTICE VIDEO. VIEW KATE’S LYING DOWN YOGA PRACTICE VIDEO.